The last test was La Bufa in Zacatecas and Harri Rovanpera and Jouni Narhi have just won it to take the whole thing in their first try. 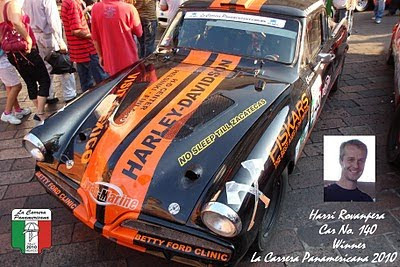 They are the absolute champions for the XXIII edition of the Carrera Panamericana. Michel Jourdain is second and Jorge Pedrero third. About 90 of 120 cars finished the race today.